A premium performance tyre, the Ventus S1 Evo 2 SUV provides short braking distances, excellent gripping capabilities and lower rolling resistance for enhanced fuel economy. 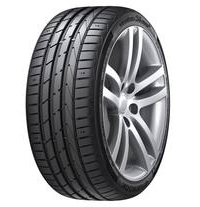 Constructed with a high grip silica compound, this tyre works to achieve enhanced traction on wet and dry roads for an enhanced driving experience. The Ventus S1 Evo 2 SUV also provides optimal handling thanks to its high stiffness bead filler. Designed with a specialist tread pattern, the Ventus S1 Evo 2 SUV works to rapidly disperse water away from the tyre for enhanced aquaplaning resistance.